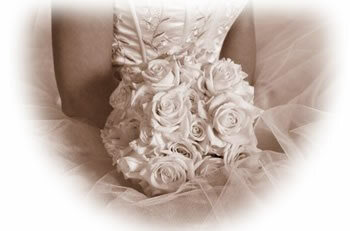 A wedding consultant can go a long way towards making your wedding plans stress free. In today's society, people rarely find time to read a newspaper much less plan a large wedding. Many of us work full-time jobs, have rich social and family lives plus household responsibilities. Add planning a wedding to the mix and your cup is likely to overflow, considering the average wedding takes between 200 and 300 hours to plan. You have a lot to think about–the Wedding dress, photographer, caterer, flowers, invitations, cake, music, attendants, transportation, honeymoon, and on and on–But don't worry! A Time N Place is designed to help you make planning your wedding easy and stress-free. With A Time N Place by your side, you will definitely enjoy your wedding day. At A Time N Place we offer a complete package of wedding planning services, including booking vendors, making hotel reservations, and managing the big day. Our packages give you the greatest value by combining multiple services at a low price. Click here to view a list of our packages. We are willing to create a custom package to meet your needs. Create a realistic budget for your wedding. Provide a detailed wedding day agenda. Provide ideas for wedding favors, table linens, centerpieces, and decoration. Provide suggestions regarding receiving line, order of speeches and wedding etiquette. Assist in menu selection and bar set-up. Attend and assist at the wedding rehearsal. And provide additional help if needed. Greet vendors and assist with any last minute details. Greet wedding party and review roles. Attend photo session to provide any assistance. Handle vendor(s) payment from the bride and groom. Removal (and/or transfer) of ceremony decorations. Ensure wedding presents are transferred to their appropriate place for the evening. Act as the on-site contact for all questions/problems. Prepare wedding night hotel room. Remember, no matter the size of the wedding, you can always use a wedding consultant.